We’re on the home stretch in our Unstuck teaching series. 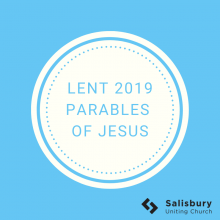 This week Nick challenges us to follow Jesus by making a list of all we have harmed and became willing to make amends to them all and make amends wherever possible. The third step of the recovery movement is to make a decision to turn our will and our lives over to the care of God as we understood Him. This is a big step and is vital to our healing.